Burleska opened its doors to the public in 1999. Back then it was called Pink & Fluffy since that was the best representation of what we were selling. When later we decided to start a wholesale company with support from our Nepalese tailoring factory, the boutique became our flagship store and received the name Burleska. After all, burlesque is what we started with. We have expanded our assortment since the name-change in 2008/09, including other alternative fashion styles, and had to start selecting what to keep in the boutique. Our full collection is available for purchase online but the boutique keeps only a limited amount of items. Q: Do you have all corsets from the online catalogue in the Camden shop? A: No, unfortunately the shop isn’t big enough to accommodate the whole collection. To see a list of the products available in the boutique, please click here. The list gets updated every few months when we make changes to the stock. Please check back before visiting the shop. Q: I want to visit the boutique but what I want to buy isn’t available there. Can I order some items to the shop and try them on before making a purchase? A: Yes, we can send up to five items to the shop for you. 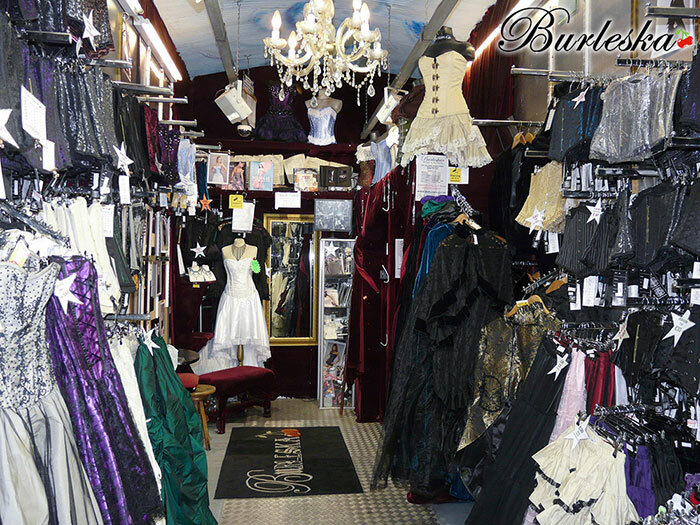 Please make sure to select the correct sizes (corset size chart) and inform the warehouse at info@burleska.co.uk about your choices. Please inform the sales team when you will be visiting the boutique. If you haven’t been to The Stables Market before, have a look at the Find us section. Q: The item I want to buy is normally available in your boutique. Can I reserve my size in advance? How many items can I reserve? A: Yes, you can. Up to five. Call the sales team on 020 8874 0472 or e-mail info@burleska.co.uk. Please allow us some time to ensure that we have your size in the boutique on the day of your arrival. We will keep your reserved item on the side for up to a week from your planned visit. After seven days it will be included in the rest of the collection. Q: Is there a space in your shop where I can try on your clothes? 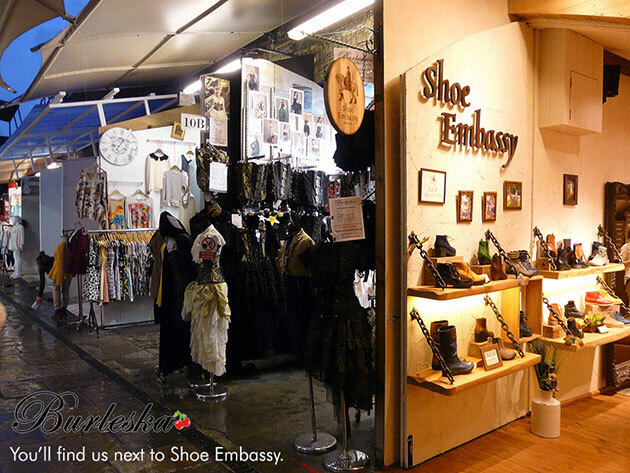 A: Yes, there are two changing rooms at the back of our boutique. Q: I’ve never tried on a corset. Will someone help me when I’m in your Camden shop? A: Yes, our assistant will help you select the right size and she will also lace it for you.